Are you getting your daily greens? 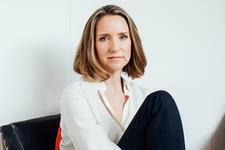 I'm not just talking about food though - did you know that super greens make incredible ingredients in skin care too? 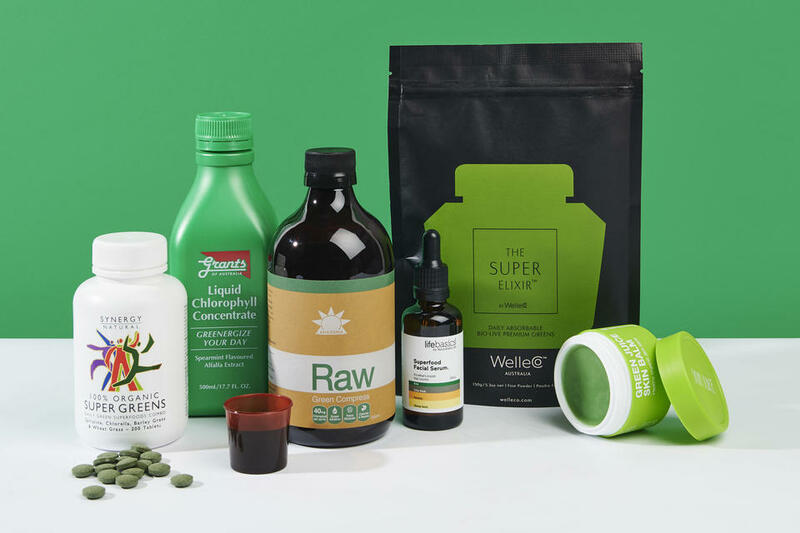 To help you boost your inner and outer health, I've put together this guide to the best super greens supplements and skin care. For most of our lives we are all told how important it is to eat our greens! But with our busy daily life it can be hard to make sure that we are getting enough greens each day. This is where natural health supplements come in handy to help boost our daily intake of leafy super greens, whether it's an extra addition to your morning smoothie or a couple of tablets with water. But just as they can help to boost our internal health, super greens are also amazing ingredients in skin care, working to brighten and even skin tone and restore hydration. Getting your daily intake of greens is easier said than done, which is why some of us find it helpful to take super greens supplements in conjunction with a balanced diet. In order for your body to function at its highest capacity, it needs a number of vitamins, minerals and nutrients to keep everything working the way it should. Getting your daily leafy greens from things like Kale, Spinach and Broccoli can help to support your digestive system, boost your immunity and improve your skin from the inside out. Because greens are so rich in nutrients and antioxidants, they also make amazing skin care ingredients, helping to soothe dry and dehydrated skin as well as reduce signs of ageing. 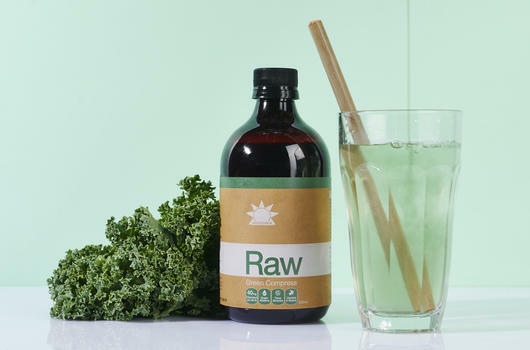 One of my favourite super greens supplements is the Amazonia Raw Green Compress, which is a liquid that you can blend in with your water or juice or just consume on its own, like a greens shot! It's a blend of Chlorophyll, Aloe Vera, Organic Red Algae and Marine Phytoplankton, which work together to help balance the digestive system. This Certified Organic formula is best taken once daily in the morning to kickstart digestion. 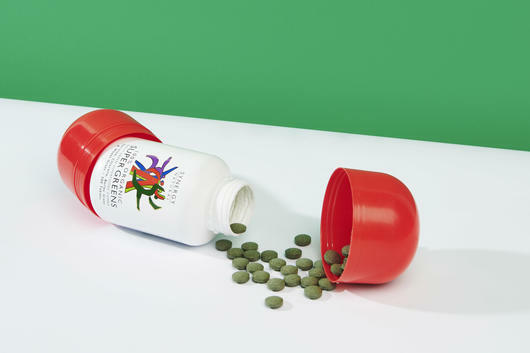 If you prefer your supplements in tablet form, opt for the Synergy Natural 100% Organic Super Greens Tablets. Each tablet contains Certified Organic Spirulina, Chlorella, Barley Grass and Wheat Grass which may help increase your intake of potent super greens and support digestion and energy levels. These Vegan tablets can be taken around five times per day for a boost of nutrition. Ideal taken in water or a smoothie, the WelleCo The Super Elixir Alkalising Greens is a potent wholefoods powder that contains no less than 45 natural ingredients to help maintain good nutrition and restore your body's optimum pH levels. With stimulating Barley Grass, Wheat Grass, Alfalfa, Spinach and Broccoli, this nourishing blend may help aid digestion, boost immunity, and repair tissue, collagen and bone strength. This Vegan powder also contains a probiotic blend to support gut health. Refreshing and revitalising, the Grants Liquid Chlorophyll contains Chlorophyll and Alfalfa to help to feed the good bacteria in your digestive system as well as provide a deodorising effect to help get rid of bad breath. With a delicious minty taste from Spearmint, it can be used as a mouthwash, diluted in water or even added to smoothies. 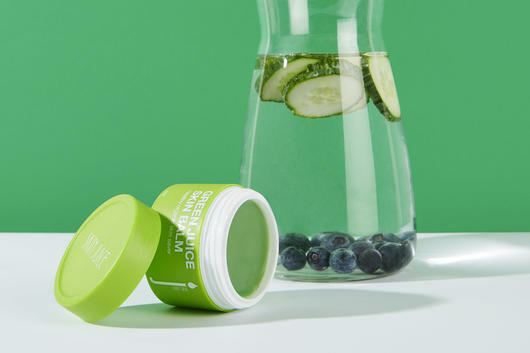 Like a green juice for your skin, the Skin Juice Green Juice All Over Skin Balm contains soothing Cucumber in a nourishing base of Shea Butter, Beeswax and Mango Butter, and gains its vibrant green colour from nutrient rich Alfalfa Grass. This is an amazing multitasker which can be used to hydrate dry patches, chapped lips and even soothe cuts and bruises, plus it's safe for use on children and babies over four weeks old. 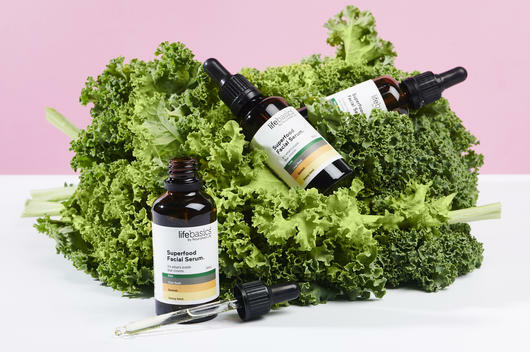 Packed full of nutrient rich goodies, the Life Basics Superfood Facial Serum contains super greens including Kale, Spirulina, Chlorella and Parsley in hydrating Avocado, Hemp, Chia, Olive and Baobab Oils to help restore moisture and firmness, boost skin tone and texture and deliver a burst of essential fatty acids, vitamins and minerals. 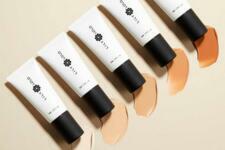 Silky smooth, lightweight and non-greasy, it's perfect for dull, dry and mature skin types, working to brighten the complexion and reduce the appearance of fine lines and sun spots. With purifying Sea Kelp and Chlorella, the Acure Brightening Facial Scrub is designed to buff away build-up and dead skin cells to reveal soft, smooth and glowing skin. Ideal for all skin types, it may help to reduce the appearance of pigmentation, dark spots and pores thanks to its potent and antioxidant rich botanical ingredients. Use 2-3 times per week for a refreshing exfoliating treatment.